This morning he went back to the vet to check the eye. The vet was pleased, it is looking very clean and you really would have difficultly spotting any surgery other than some slight shaving of his fur below the eye. Fred seems much happier, has been out for several walks with much more enthusiasm that he has recently shown, so hopefully that is the end of that health scare. 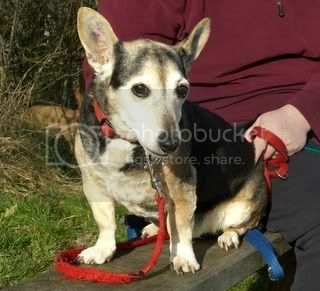 Fred is our 14 year old Corgi x Jack Russell and is probably one of the most adorable, lovable dogs you could meet. In his youth he was a healthy boy with a remarkable stoic attitude to any form of injury or illness. 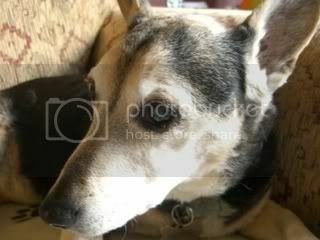 However as an elderly dog he has increasingly suffered a number of health problems, he was recently diagnosed with an enlarged heart and associated murmur. He has also had recurring problems with his water works. A few weeks ago we noticed what appeared to be a stye on one of his eyelids, while they can be painful it didn’t seem to be affecting him, so we decided to monitor it. 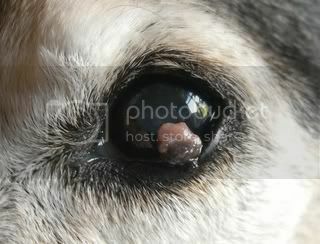 Last Friday his eye seemed to be very watery and he had begun rubbing it and I noticed his tears were bloody, on closer inspection his eyelid now had a noticeable bump under it. This is how he looked, but by pulling back the eyelid slightly revealed the horror hiding underneath (beware this is slightly gross) We were shocked to discover a really large growth. 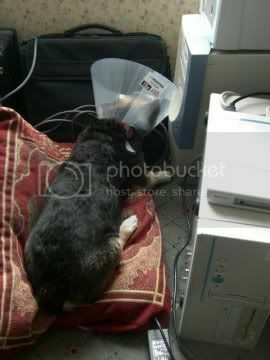 He immediately went to the vets and were told not unsurprisingly that it is a cancerous growth and Fred is booked in tomorrow to have it removed. Whether it is just psychological or not we are convinced the tumour is growing larger by the hour. Going under anaesthetic at Fred’s age considering his chest and heart problems is not something to take likely but we have no choice. Fred has just had his final meal in preparation for tomorrow mornings operation and so we treated him to some nice roast chicken we had for our Sunday lunch. Tonight he will be spending it in the arms of either me or the wife.